It is no secret that I love finding things for a good deal! Getting something at a reduced cost gets me energized. What even gets me more excited is when I can turn that good deal into a profit. Sometimes I love buying things at a good deal and keep them for my family as you can see in this past blog post, but much of the time I enjoy buying things and reselling them at a profit. It's a win win for every party because I am buying the item from someone who is trying to get rid of it and I am connecting the item with someone who needs it. The person who wants it is getting it at a reduced cost while at the same time I am making money. 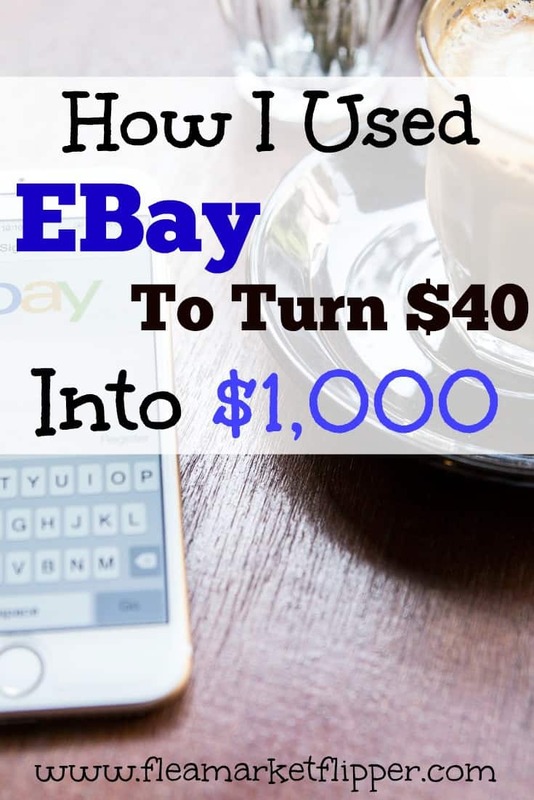 A growing trend for me is buying items on Offer Up and using eBay to get a great ROI on them. One of my most recent flips was a really great return on my investment! 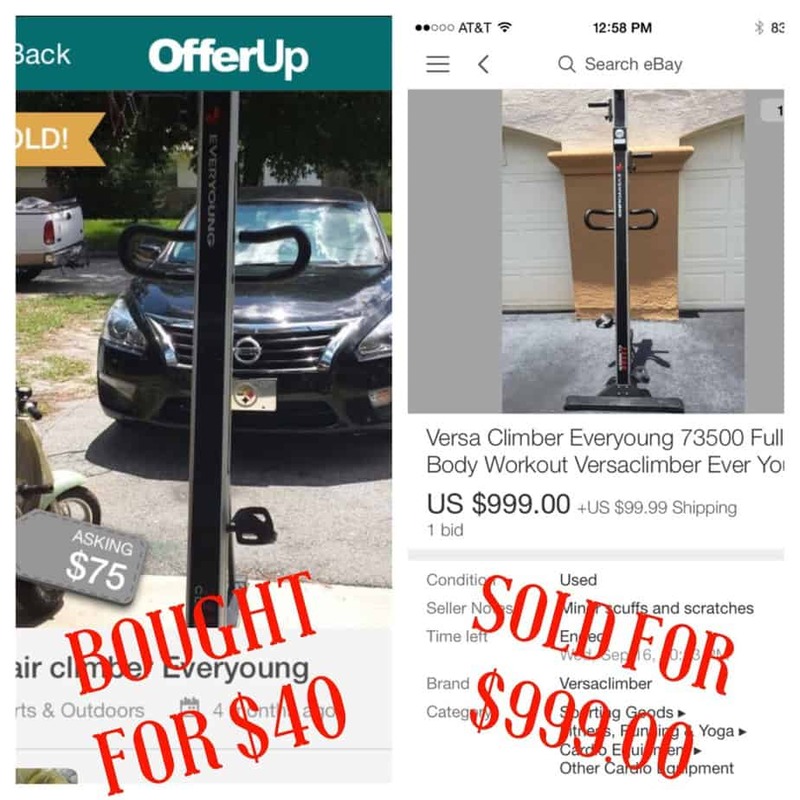 I found a stairclimber being sold on offer up for $75, so I went to check it out. I was able to negotiate the price to $40 before I even arrived. (I like to see what I can offer through the app before I get there in person) I was thinking that my wife would want to use it in her gym for her clients (she is a personal trainer), so I held on to it for a couple months. She decided that she really didn't have the room for it so she told me to sell it. Using eBay would be the best platform to sell it (it reaches so many more people than local selling sites.) Most of our sales are through eBay (90%), even when we cross-post items. I was able to sell it within a week of listing it. It sold for $999.00 using eBay! That is a 2,500% return on my investment! You can't find these kind of ROI's in many other types of investments except for in this industry. Of course not all items are like this, but my goal is no less than 300-500% return on my investments. Even doubling my money isn't enough for me to usually make the purchase. I get several of these items a year that are really high profit, and they have helped our family out a lot financially. Over the years I have developed my eye to spot them when they are a good deal. (It's not that hard). I can't wait to find the next great deal! Have you had a good return on an item that you were reselling? Was it using eBay? Tell us about some of your flips below! Are we going to pretend that fencing is something new? You Are describing the modern day fence, essentially. I suppose you may end up selling some percentage of legally acquired goods. So At best, you’re functioning as a middle man. If that’s what you want to do with your life, then go for it I suppose. But no kid answers “fence /middle man / huckster” if they’re asked what they want to do when they grow up. Try creating something, anything, that creates value, no matter how small it may be. the criminals who stole the wares you peddle create more value than you do. I can honestly say that I absolutely LOVE what I get to do every day. I don’t have a boss to check in with, I can spend more time with my kids because I control my schedule, and I’ve met some really cool people with some great stories along the way. I hope you consider taking the time you use to troll the internet and use it in a more positive manner – one that may actually improve your health and your finances. thanks Faizan! Glad to have you here! That’s a heck of a flip right there. I haven’t had anything that good…..yet. I am sure you will! I have drifted more toward the larger items the past few years. I don’t mind shipping them and the ROI is totally worth my time. So you’re the one that’s buying all the trash I find! I find a lot of trash on the side of the road and typically flip it for a low price, since my goal is to just get the trash moving out of my garage. Shipping that thing on eBay must’ve been a beast! Haha! Probably. 🙂 I love finding things in the trash too though. Some people throw some great things away! Shipping this wasn’t too bad compared to some of the other stuff I ship. I tend to gravitate to the large items. I found an antique turquoise sewing machine for $20 that I sold for $150. That’s awesome Jamie! Do you do picks and flips often?